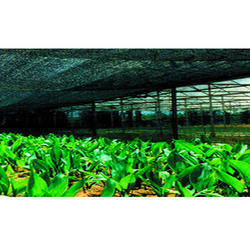 Eco Friendly is a well known manufacturer, exporter and wholesaler of Nursery Shade Net. These provide protection from temperature changes and excessive sunlight and also protect the plants from frost and rain. The width and length is available as per requirement of the customers. Our organization is known in the industry for offering a wide gamut of Nursery Shade Net. Manufactured using premium quality raw material and well-knitted by our experts, the qualitative products offered by us are extensively used in nurseries and greenhouses. We are offering a comprehensive range of Agro Shade Nets For Nursery to our clients. Applicable for numerous agricultural purposes, these Agro Shade Nets can be customized according to the diverse requirements of our clients. 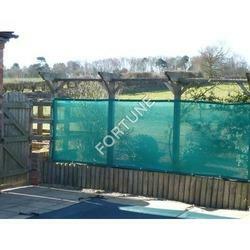 Widely appreciated by the clients, these Agro Shade Nets are obtainable at most nominal prices. - Shade Factor: 35, 50, 75 and 90 %. - Colour: Green, Dark Green, White or Customized for bulk volume. We have been able to bring forward a qualitative range of Nursery Shade Net.